1. My cousin Ben of My Red & Blue and Ninja Gummy Bear fame is coming to St. Louis to play a house show at our house next weekend (Saturday). 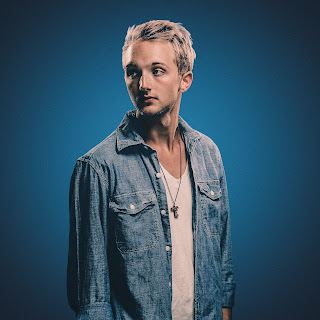 This guy's the real deal, a senior who is catching the attention of Belmont University and the Nashville music scene, and yet remains one of the most humble, faithful people I know. We're pretty excited to host him and his band next weekend, and if you're in the St. Louis area and interested in checking them out, send me an email (natalie@thesweetslife.com) and I'll get you the details. We'd love to have you join us! 2. It's officially soup season! While I've been trying out a few new soups, I also find myself returning to some of our favorites. 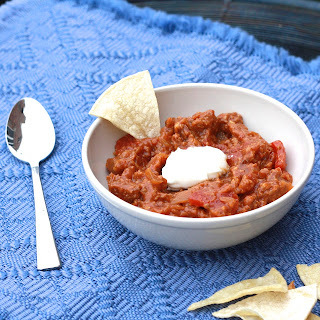 You can check out the entire archive here, but I personally recommend Buffalo Chicken Chili, Butternut Squash and Kale Minestrone, Creamy Pumpkin Peanut Soup, and Tequila Turkey Chili (pictured above). 3. Planning your Thanksgiving menu? Last year I compiled 50 Recipes to Consider for Thanksgiving and rather than compile a new list this year, I'm going to point you right back there. It's got everything from breads to salads to side dishes to desserts and you're bound to find at least one or two perfect for YOUR Thanksgiving feast (AHEM--Gorgonzola Smashed Potatoes, Salted Caramel Pie, & Pretzel Rolls). 4. 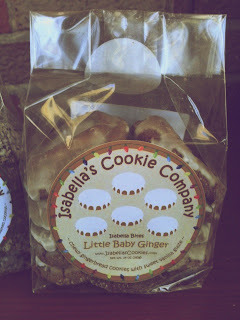 A few weeks ago, Isabella's Cookies sent me some samples of their cookies. I'll be honest, I was a little wary, anticipating cookies coming all the way from the west coast to be crumbly and stale. Shame on me, I couldn't have been more wrong! 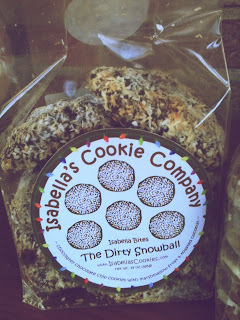 The cookies we were sent--Dirty Snowball (chocolate chocolate chip covered in coconut) and Little Baby Ginger (gingerbread with vanilla icing)--were incredible. I loved the simple packaging they arrived in and was shocked by how fresh the cookies tasted, like I'd just pulled them from my oven. 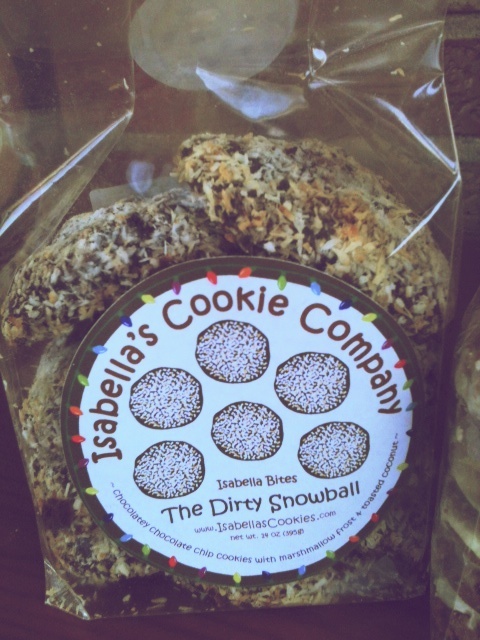 The company uses all fresh ingredients to make their large (1/3 pound) cookies which come in a variety of awesome flavors (I'm dying to try the Maui Wowie!). Isabella's Cookies has generously offered one package of either the Dirty Snowball or the Little Baby Ginger (your choice) to three Sweets Life readers. 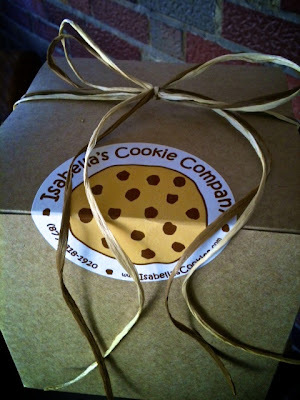 To enter, leave a comment by Monday at 9 pm telling me why you could really use a cookie delivery. I'll pick three random winners and announce them in Tuesday's post!